Add some flair to your coffee table with Amalfi’s Trinity Brass Inlay Coaster Set. 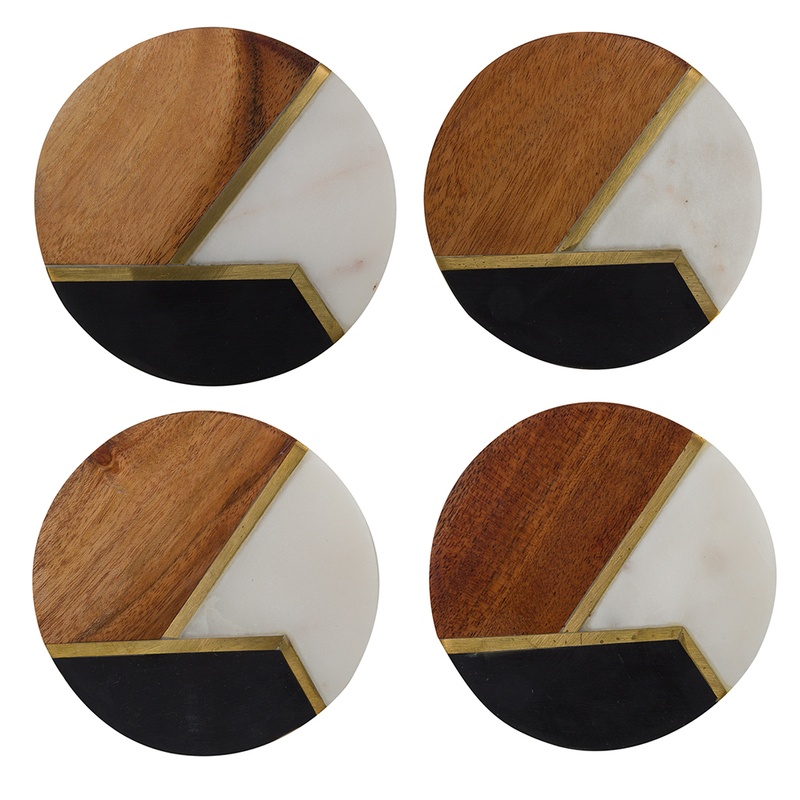 Presented as a set of four, each of these round coasters is made of acacia wood segment, a white marble segment and a small black resin segment, all separated via sleek and shimmering brass inlays. Crafted from acacia wood, white marble and resin. Non-slip pads on the base of each coaster.